Alimony is support for one spouse that is paid by the other spouse. 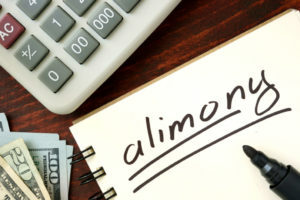 Alimony is paid to one party in as if they were receiving “income.” Unless alimony is characterized as “lump sum,” it is taxable to the party receiving the alimony and deductible by the party who is paying the alimony. The topic is complex and your need the Savannah alimony lawyer on your side to fight for your rights. The most common purpose of alimony is to give one spouse, who otherwise could not support themselves, the time to get “back on their feet” and be a self-supporting member of society. Becoming a self-supporting member of society requires, among other things: learning (or re-learning) how to be self-sufficient, obtaining an education, entering (or re-entering) the job market, and honing skills necessary for self-support. Of course, these attributes take time to develop, or redevelop, and the courts are well aware of this fact. This is why you will often hear this type of alimony referred to as “rehabilitative.” One spouse may be required to pay a monetary sum for a short period of time to help the other spouse get back on their feet after a divorce. The alternative to rehabilitative or short-term alimony is, of course, long-term or even “lifetime” alimony. Court-ordered lifetime alimony is becoming increasingly rare as more and more women enter the workforce. These awards are fact specific and you should consult with an attorney regarding your case. This is further complicated by the choice of periodic or lump sum alimony options. If your spouse’s infidelity caused the marriage to dissolve that will generally not result in you receiving more alimony. However, judges in some states may consider your spouse’s infidelity when deciding alimony or when it comes time to divide the marital property. Division of property, as you will learn in the next chapter, is the division of your marital estate. 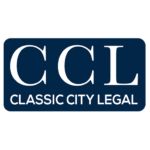 This division is at the judge’s discretion and there are many factors he or she may consider when it comes time to divide your marital estate. Consequently, some judges may consider infidelity and/or other transgressions that caused the divorce when he or she is dividing your estate, although some states require an equal division regardless of adultery or other conduct. The Savannah alimony lawyer at Fargione, Thomas & McRae, LLC will go over the facts of your case in depth and adivse you accordingly. Do not go about this alone! Schedule an initial consultation. Please contact the Savannah alimony lawyer of Fargione, Thomas & McRae, LLC. Call us at (833) 732-6529.